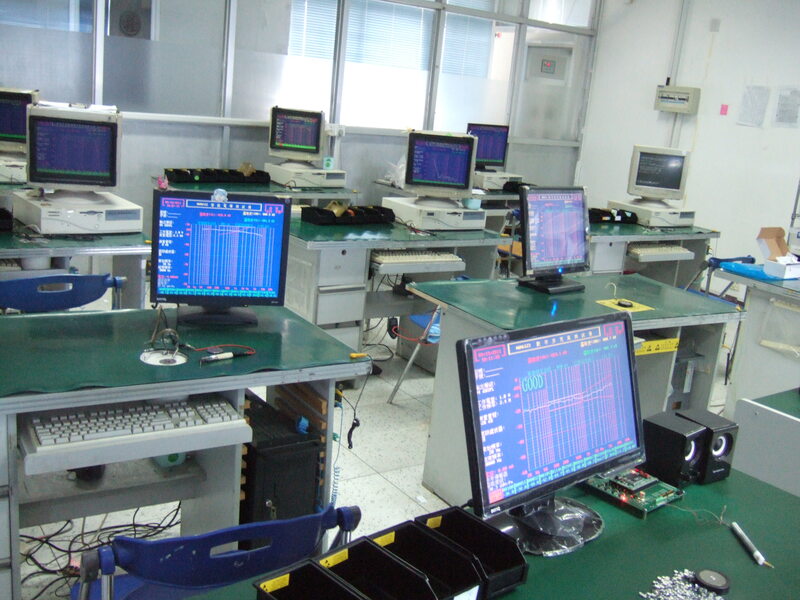 Jeou Luen Technology Company is headquartered in Taichung, Taiwan. We specialize in manufacturing Electret Condenser Microphone (ECM) for more than 25 years with high credibility from our clients. 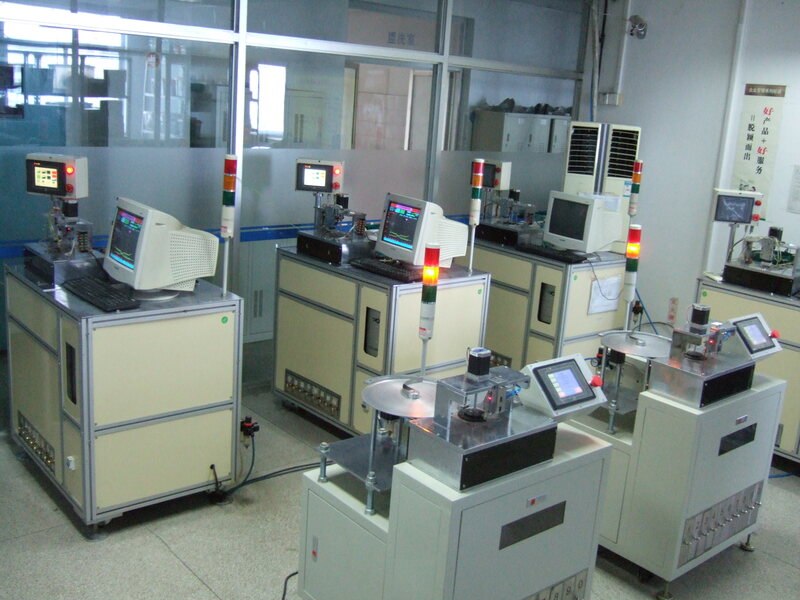 Our main factory, Suzhou Jeou Luen Technology Company Limited locates in Suzhou City, Jiangsu PR, China. This location is very convenient for our most customers whose factories are located in China and we can provide our service effectively. Our product is a sound receiver and can be widely used in most 3C products, Mobile phone, Laptop, Bluetooth earpiece and etc. Furthermore, our latest product MEMS Microphone will be launched in 2013. We've also been successfully named the Green supplier with the world well-known brand name companies. 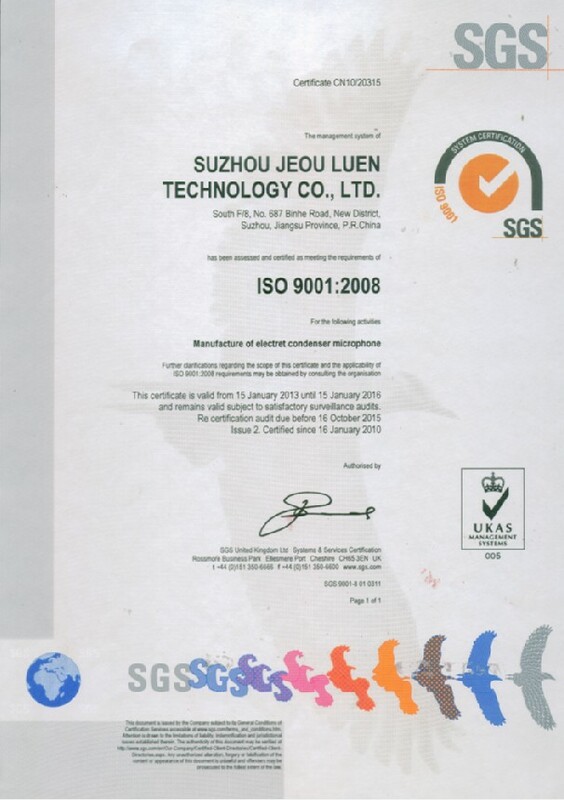 In order to become partner with our EEE producers, we have passed the certification of ISO9001:2008 and QC08000 industry standards. 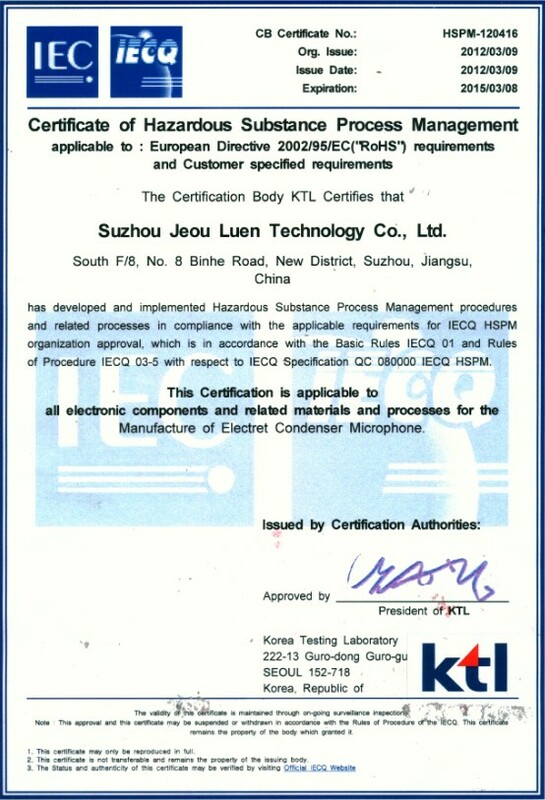 We also ensure all of our products meet the RoHS-Reach Compliance and Hazardous Substances Free (HSF) through Europe. 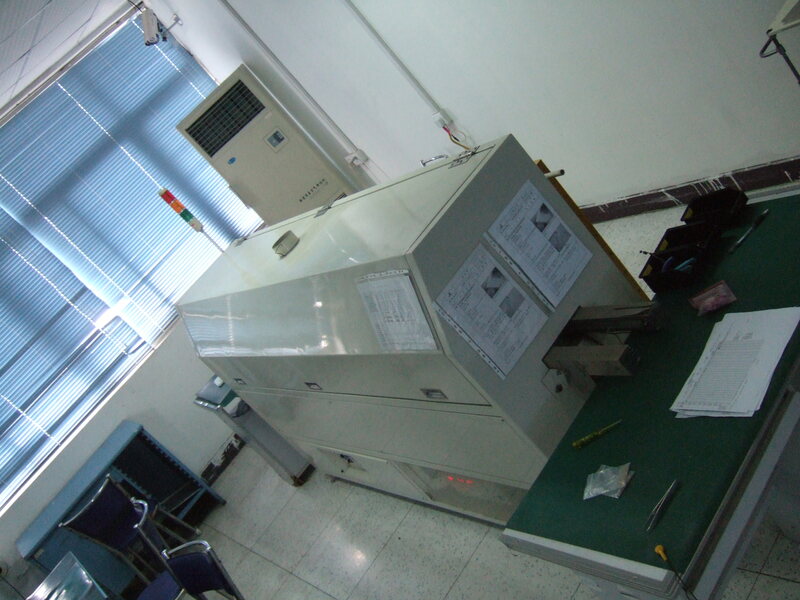 Jeou Luen believes that customer satisfaction is based on achieving high level of proficiency in quality products, on-time delivery, maintains effective communication and services. We truly value your business and opportunities. Please feel free to contact us.